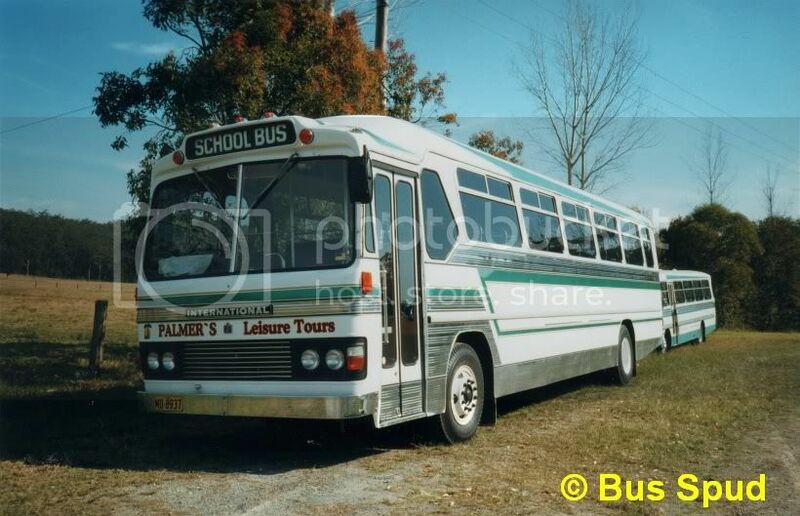 This is a historic listing of vehicles owned and operated by Yarramalong Bus Lines (AR & JP Palmer) - Wyong. In 1914, George Palmer founded a horse drawn coach service carrying passengers, groceries, newspapers and mail. Bags were carried on the roof of the coach and a return trip would cost a 2 shillings. A Model-T Ford was the first motorised bus to be acquired and was followed by a Chevrolet in 1948. The bus service ran twice daily in each direction between Yarramalong and Wyong but services were sometimes cancelled because of flooding in the Yarramalong Valley. (Source: Smith, Errol (2008-02-20). "End of era for bus pioneers". Central Coast Express Advocate. pp. 9). Over the years the business passed down two generations from George Palmer to Reice Palmer to Ashley Reice & Janice Pamela Palmer. Ashley sold the touring operation, known as "Palmer's Leisure Tours", to Road Runner Tours Wyong Pty Ltd, Wyong in January 2003 with TV 1125, MO 2128 & WUQ 775. Dennings PLT 744, TV 599 & TV 975 were retained and used for a couple of months due to charter requirements and sold separately by Ashley Palmer. Palmer adopted the trading name "Yarramalong Bus Lines" after the sale to Road Runner. 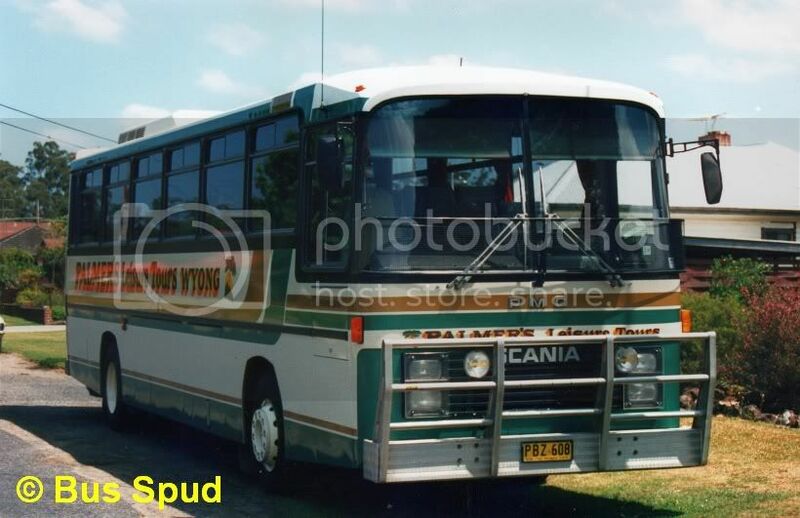 The remaining school bus and charter business was sold to Busways 30/1/08.